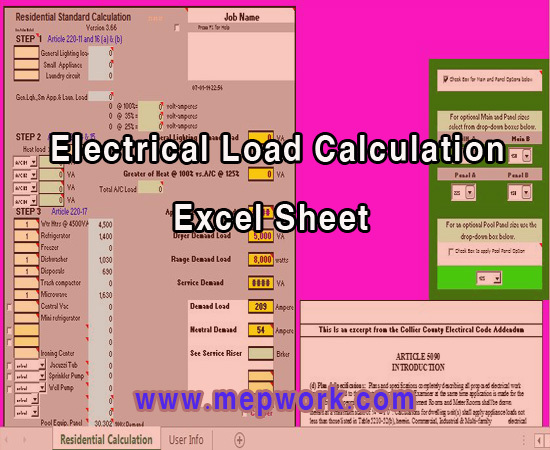 Download free electrical load calculator excel sheet. All electrical calculation for residential building in one excel sheet. For all electrical MEP engineers, here there is an excel sheet calculator for residential electrical calculation. The residential load calculation worksheet calculates the electrical demand load in accordance with National Electrical Code. The worksheet helps to provide an accurate, consistent, and simplified method of determining the minimum size electrical service for a new or existing dwelling looking to add additional electrical load.